Venue Menswear has been established in Leamington Spa for over 20 years now – providing quality clothing for the couture conscious. Selling designer brands including; Guide London, Luke, Original Penguin, Peter Werth, Remus Uomo, Duck & Cover, Weekend Offender, Mish Mash Jeans and much, much more. Whether it’s smart or casual, we provide garments for all ages and all occasions. Here at Venue Menswear we pride ourselves on having a store with a great atmosphere with unrivalled customer service and our fantastic, friendly staff. 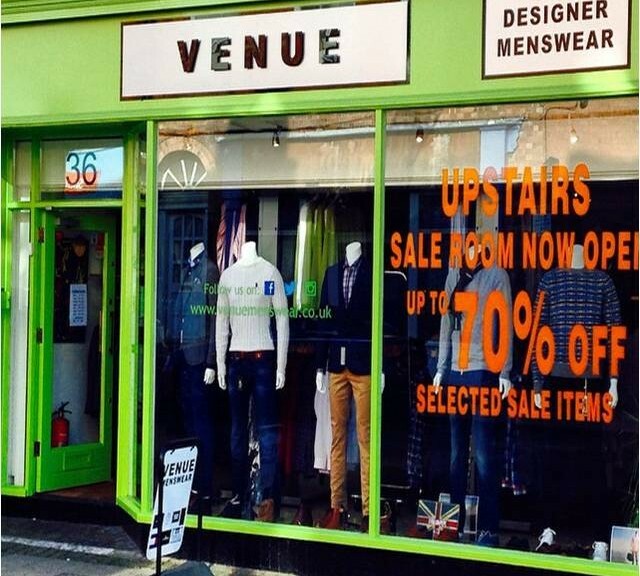 Why not pay a visit to Venue Menswear – we are open 7 days a week – or shop online anytime!